Summer and sunscreen are correlated. Without sunscreen, you can’t provide the complete care to your skin, especially in summer. It protects your skin from the harmful radiation of the sun. You know, sun rays are responsible for several skin problems. 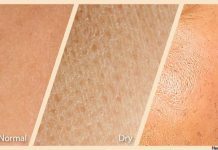 It includes sunburn, hyperpigmentation, redness, melasma, sun spots, freckles, aging signs, skin cancer, and so on. Among skin care products, only sunscreen can protect you from them. When you go to buy sunscreen, you will notice the term “SPF” and a number associated with it. Do you know it well? Before buying, you should know what does SPF stand for. The elaboration of SPF is Sun Protection Factor. It is a factor that protects you from the sun’s UVB rays. 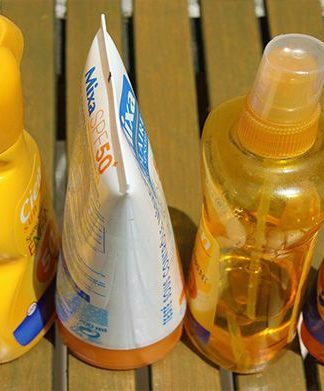 The protection depends on the number that you see on the sunscreen product. This number starts from 2. Typically you will see sunscreen product with SPF-15/30/40/50/70 or 100. There are some SPF related misconceptions available in the market. The most common SPF rumor is, the higher SPF protects you more than the lower SPF. To have a clear concept about SPF, you should know some other terms such as UVA & UVB, sunburn, and board spectrum SPF. Different types of sunrays come to our earth. But, we need to concern only about two types of sunrays; UVA & UVB. Here UVA is Ultra Violet ray A and UVB is Ultra Violet ray B. UVA is a sunray with a long wavelength. And UVB ray stands for short wavelength. The wavelength of UVA is 320-400 nm. And it is long. UVA penetrates deep into the dermis layer of the skin. The dermis is the thickest layer of the skin situated under the epidermis layer. And, dermis contains most of the collagen and elastin of your skin, approximately 70%. Collagen plays a vital role to keep us young. It helps our skin to retain strength and structure. But, UVA rays disrupt the synthesis of collagen and elastin. And finally the aging signs like wrinkles, fine lines, sagginess, etc. start appear. You will be amazed to know that, UVA rays create the same damage either the day is sunny or rainy. About 80% of UVA rays can pass through the cloud (source). And it can pass through the window glass. It doesn’t even cause any burning sensation. UVA rays damage your skin whole the day long. You can’t see the damage on your eyes, but it will damage your skin gradually for the long run. The length of UVB is 280-320 nm. And it is shortwave. It mainly penetrates the uppermost layer of the skin. 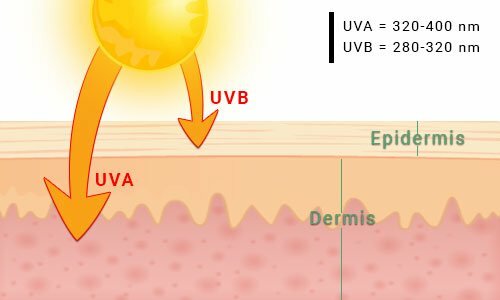 UVB rays are more harmful than UVA rays. It is 1000 times stronger than UVA rays. It is mainly responsible for cell damage and DNA modification. For this, UVB rays cause sunburn, redness, and even skin cancer. Like UVA, UVB rays cannot pass through the glass. The intensity of UVB rays remains high at 10 am to 4 pm. And its intensity also varies with the season and location. Skin turns to red because of the increased blood flow. Skin turns white after touching. And finally, skin gets tightened and swelled. SPF provides protection from sun rays. 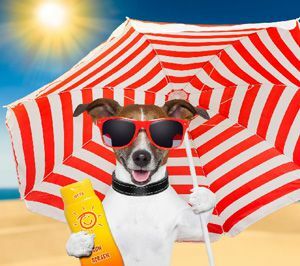 But, do you know, sunscreen with general SPF can’t give you protection from all types of sun rays. It only protects you from UVB rays, that means from sunburn. But, UVA rays still on the stage. So you need something that protects you from all types of UV rays. Here comes the necessity of board spectrum SPF. It gives you protection from both UVA and UVB radiation. Now you are ready to understand the Sun Protection Factor (SPF). 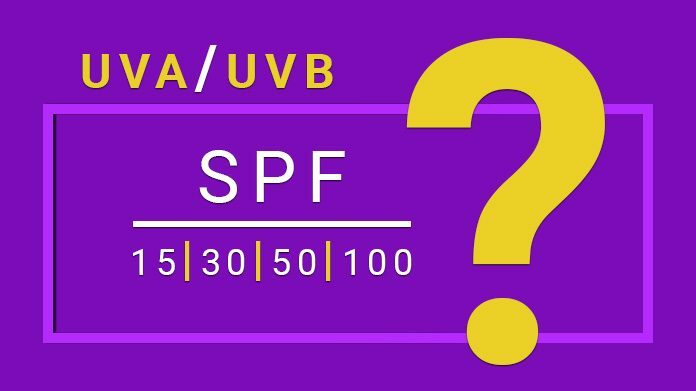 Let us explain what does SPF number stand for. There is a misconception about SPF. As we said before, people think sunscreen with the higher the SPF number is better than the lower one. First of all, you should remember that no SPF number gives you 100% protection from UV rays. Now you should know how long the SPF number protects you from sun rays. That means how long does SPF 15 last or how long SPF 30 last or how long SPF 50 last? If your skin takes 15 minutes to burn under sun rays, then your sun protection time for SPF 15 is 15×15=225 minutes. That’s it. Now, you can calculate the sun protection time for other SPF numbers. But, only sunscreen cannot give you complete protection from sun rays. You should use umbrella, wide-brimmed hat, and clothing to get protection from sun rays. And reapply sunscreen every two hours when you are staying in outside.